Electromagnetic waves suffers a high attenuation through the water , for this reason, the Global Positioning System (GPS) is not feasible and can not be used, therefore a global solution for underwater positioning is nowadays non-existent. Besides the dead-reckoning used in several underwater vehicles, acoustic positioning is the most common method for the main underwater positioning issues. Different acoustic methods have been developed during last decades, such as Long Baseline (LBL), Ultra Short Baseline (USBL) and GPS Intelligent Buoys (GIB). Each of these systems have his own application as a function of project necessities and constrains. For example LBL system offer the best precision accuracy, but with a high deployment and maintenances costs, these can be solved by GIB systems, which use surface buoys instead of seafloor nodes. 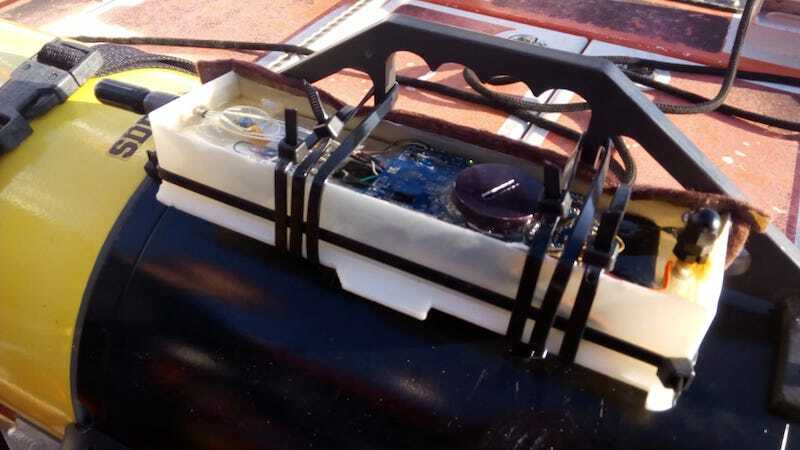 In addition, if the main goal is to reduce the setup time, the best option is an USBL system, but with less accuracy than the others methods. On the other hand, acoustic waves have also been used for underwater communication. Last years the performance of acoustic modems have been increased, nowadays they have more capabilities such as synchronization and time stamping, that capabilities can be used to solve positioning problems. These acoustic modems can be integrated in an Underwater Wireless Sensor Network (UWSN)  for communication and also for node localization . Therefore the main advantage of these modems is that with one device both communication and localization can be solved, which decreases the number of devices used, and consequently power consumption, complexity, space and price. Finally in order to reduce the costs of these acoustic systems, some studies have focused on single beacon localization methods. In these architectures the main goal is use one mobile beacon to localize different underwater targets. This methodology, known as single-beacon range only localization , have his particular challenges, which nowadays still open, such as path characterization (path shape, number of points and maximum range) or performance studies (accuracy and reliability). All of these parameters must be evaluated under different circumstances, where shallow waters are one of the most challenging environments for their high number of echoes and acoustic noise. Main objectives of the project will be the evaluation of underwater acoustic localization tools deployed in shallow waters. The applications will cover both: static and moving targets. A long term deployment experiment will offer the possibility to ensure robustness of the equipment and quality of the data along time. 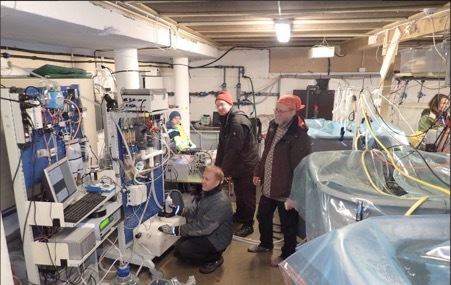 Variability of the measurements will be studied and correlated with sea conditions since OBSEA platform is measuring waves, currents and water properties. W. S. Burdic, Underwater Acoustic System Analysis, Canada: Peninsula Publishing, 2 edition (2003). J. Heidemann, W. Y. J. Wills, A. Syed and Y. Li, “Research Challenges and Applications for Underwater Sensor Networking,” IEEE Wireless Communications and Networking Conference, 2006. WCNC 2006, pp. 228-235, 2006. 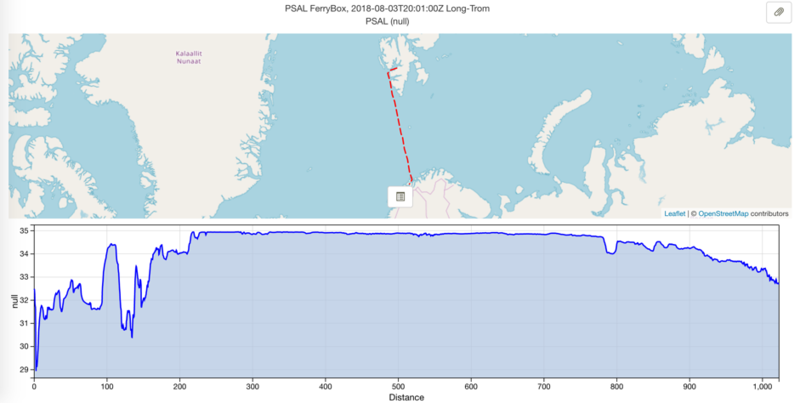 A. Munafo, J. Sliwka, G. Ferri, A. Vermeij, R. Goldhahn, K. Lepage, J. Alves and J. Potter, “Enhancing AUV localization using underwater acoustic sensor networks: Results in long baseline navigation from the COLLAB13 sea trial,” Oceans – St. John’s, pp. 1-7, 2014. C. LaPointe, Virtual long baseline (VLBL) autonomous underwater, M.S. thesis, Dept. Mech. Eng., Massachusetts Inst. Technol., Cambridge, MA, USA, 2006. M. F. Fallon, G. Papadopoulos, J. J. Leonard and N. M. Patrikalakis, ““Cooperative AUV navigation using a single maneuvering surface craft,” Int. J. Robot. Res., vol. 29, p. 1461– 1474, 2010. G. Antonelli, F. Arrichiello, S. Chiaverini and G. Sukhatme, “Observability analysis of relative localization for AUVs based on ranging and depth measurements,” IEEE International Conference on Robotics and Automation (ICRA), pp. 4276-4281, 2010.